There&apos;s another long-range solo adventurer out there on the water, this one taking on an especially difficult task — circumnavigating the Americas non-stop in a 27-foot Albin Vega sailboat. 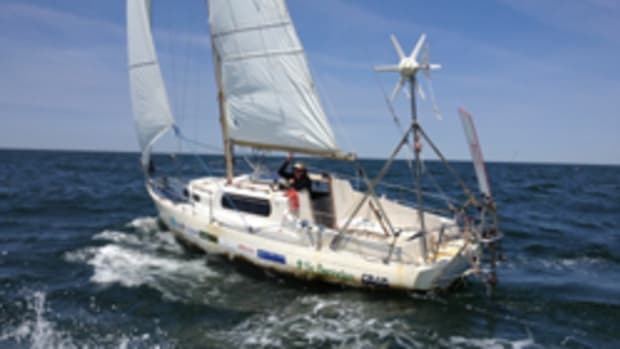 Matt Rutherford, of Annapolis, Md., intends to sail solo east to west through the Northwest Passage, beginning this summer, then head for Cape Horn. Rutherford left a troubled youth behind and taught himself to sail. This led to a life lived on the sea and dedicated to helping others, which he hopes to do by raising money from admirers.